We’ve added a number of trellises, tripods and other supports to our garden this year. They’re functional rather than glamorous, and some are on the rustic side, made from scrap wood. But they seem to have made the birds pretty happy. 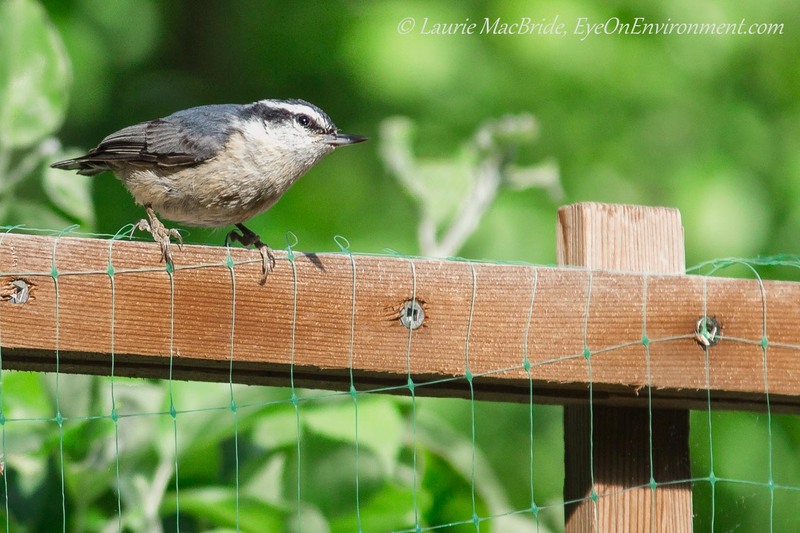 The nuthatch in the photo above tried out the new pea trellis one recent afternoon, along with the frames for the netting that will soon surround the blueberry and raspberry beds. All seemed to pass muster. Similarly, the squash tripods, bean trellises and extra-tall tomato stakes won chirps of approval a day or two later when the Robin family checked them out. 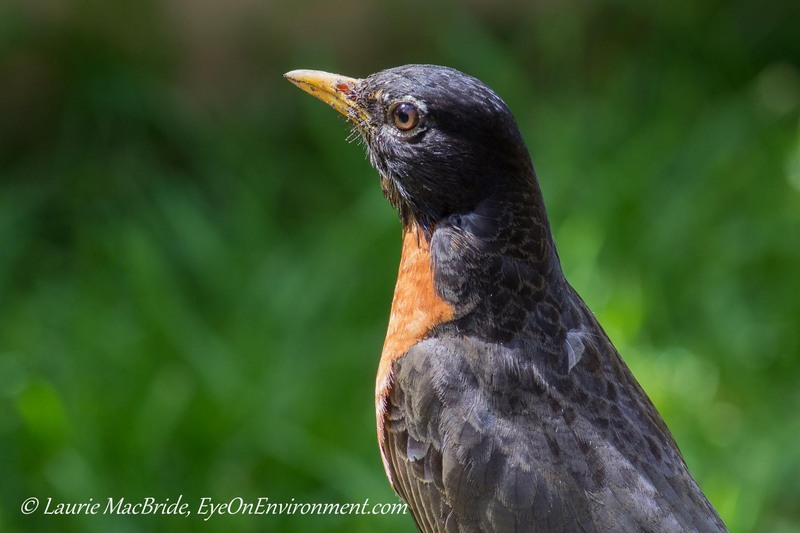 Posted by Laurie MacBride, Eye on Environment on June 24, 2013 in Animals & Wildlife, Birds, Garden and tagged animal behavior, food gardening, gardening, nature, photos, summer, trellises. And thanks again for the plants! They are doing well … have your pots here too and will catch up with you one fine day ! Great, thanks Susan, I’ll look forward to seeing you! Yes indeed! Thanks for the commen, Phil.